Zendesk has long been a popular choice for a wide range of business and customer support tools, and for good reason. With five different solutions under their belt, not including analytics, Zendesk manages to offer a well-rounded, easy to use and simply effective solution for almost every business. We have long discussed when organization’s need to utilize tools like Helpdesk Ticketing, or even more recently, Self-Service platforms like knowledge bases and community forums. Zendesk is generally a strong go-to provider for those looking to keep every piece of the puzzle under one roof, while still gaining the functionality and feature set required to maintain complex campaigns. However, we absolutely recognize that not everyone will be in love with Zendesk, or want to commit fully into their platform and ecosystem. That’s why we wanted to take a closer look at some of the top competitors of Zendesk, and offer a breakdown of what helps each solution stand out. 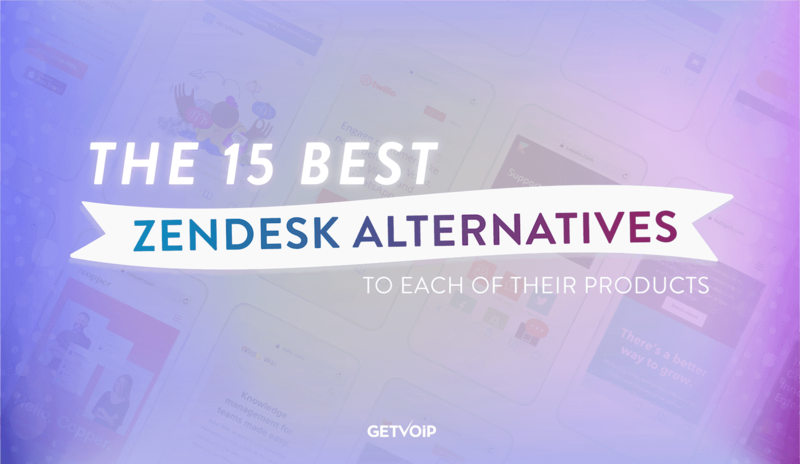 Here’s our list of the 15 Best Zendesk Alternatives in 2018. Traditionally a CRM and Helpdesk platform, Zendesk Support provides organizations with the tools they need to accept, answer and maintain a long catalogue of customer information along with complaints or concerns, logged as tickets. Who are they? The Zoho Office Suite consists of numerous productivity and business apps, including their CRM, helpdesk solution, app creator and others. Kayako offers a dedicated solution enabling organizations to provide streamlined and intuitive customer service. Freshdesk seeks to provide tools for brands to communicate readily with customers and vice versa. Self Service support has quickly become a popular trend among businesses across all industries. Enabling your customers and clients to solve their own issues before contacting a representative is a win-win for both sides. With less tickets, and more power in the hand of users, everything runs a bit smoother. Who are they? 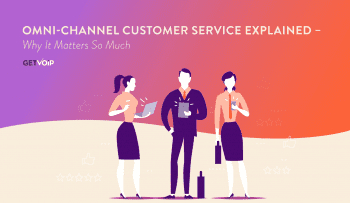 Happyfox is designed with the idea that the customer service experience could be pleasant for both customers and agents. Zoho Wiki is a strong contender for organizations that specifically require an in depth internal knowledgebase. Intercom provides organizations with the tools they need to provide a complete platform to enable customers to answer their own questions. Live Chat software has also become a very popular option for customers looking to get in and out quickly, with a simple process to find the answers they need. Live Chat also enables representatives to handle more than one conversation at a time, providing a new level of efficiency while still offering the level of support users have come to not only expect, but even demand. Description Intercom provides three different messaging-first solutions that offer modern internet businesses a complete platform to accelerate growth across the entire customer journey. Drift enables businesses to qualify their website visitors, enabling agents to focus on the truly meaningful conversations to provide support, and accelerate the overall sales cycle. With Snap Engage’s sales solutions, organization can engage and convert inbound traffic into qualified leads, and with their Support solutions, businesses can boost customer satisfaction and lower cost-per-interaction. Zendesk has even managed to spread their presence into the uniquely competitive Call Center Software market. With the Zendesk Talk platform, organizations can connect with their customers over the phone, with a system built right into the Zendesk ticketing platform. But for those that aren’t looking to rely on Zendesk for all their needs, plenty of call center alternatives exist as well. Description As a leading option, Five9 offers inbound, outbound, and blended contact center solutions that can be scaled quickly on demand. Talkdesk offers enterprise level contact center functionality with the advanced features users would expect, yet can still be quickly and easily deployed even without phones or any hardware. By connecting to Tier 1 carriers around the globe, Twilio can offer a high quality service with access to local phone numbers in over 70 countries. 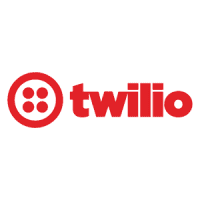 Twilio offers a build-your-own approach. To gain the complete and total edge over the competition, but more importantly, gain absolute control over the customer experience and journey, your business will want to utilize an all-in-one suite platform. These solutions, like Zendesk Suite, are incredibly powerful and put total control of the entire customer journey, and your organization’s communications, and your fingertips. By integrating all available tools and solutions from a vendor, these all-in-one platforms create a seamless management experience to control the entire process of interaction and communication. 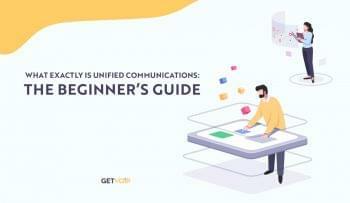 These tools generally unite CRM and Unified Communication functionalities together, with other apps like helpdesk, knowledgebase, live chat, call center and omnichannel contact center features. Description A true all-in-one communication platform that can provide holistic insight into the customer journey. NextOS puts your complex customer relationships into focus. Align your support, sales and marketing with Freshworks 360 in a fully integrated platform. Gain a 360 degree view of your customers. Turn customers into promoters and service into growth. Hubspot Service Hub makes it easy to manage and connect with customers to help them, and your business, truly succeed. Zendesk has long been a favorite choice of not only ours, but many organizations and businesses as well. Their complete platform manages to offer the extensive and robust features we have come to expect from even Enterprise solutions, while maintaining a simplistic and easy to use approach. When combined together, these solutions create a complete platform that can absolutely transform an organization’s overall process and, hopefully, their success as well. However, that doesn’t automatically mean that Zendesk is the best choice for every organization, within every industry. Some teams may require a more simplistic approach, instead of diving head first into a complete platform with multiple tools. 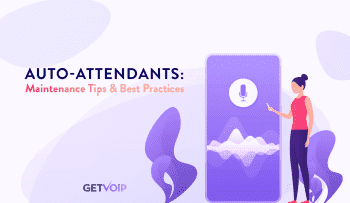 Some organizations, for example, might require a dedicated Live Chat tool without the integration into a Helpdesk Ticketing system, or might simply want to establish a stand alone knowledge base. While Zendesk is a strong choice for many reasons, the providers and vendors that we have highlighted here stand out on their own as some of the top options among the competition, offering a unique platform that is capable of delivering just as much as, if not more, than Zendesk. After all, its all about finding what is right for your business specifically.